Four years ago, Lexie Morris left her home in London for China with a clear goal in mind: she wanted to become China's cupcake queen. Every major global city had gone cupcake crazy it seemed, and Lexie, 28, wanted to be the one to bring the dessert trend to Beijing. "I remember getting on the plane really feeling quite nervous that I'd made a massive mistake," Lexie laughs. "But when reality set in, I found things easier than I thought they might be. Really, the biggest step is actually doing it. Actually resigning from your job and actually going after the dream." Lexie's path into the world of sweets took her through the University of Cambridge, where she was one of just seven students to graduate from the Mandarin studies programme in her year. Lexie studied in Beijing for six months while getting her degree and back then, she realised it was impossible to find a good piece of cake - a fact she tucked away in her memory. After getting a job as a consultant, the Londoner soon grew bored, directing her attention to creating her own cupcake recipe. It took her six months to find the perfect mix of flour, eggs and sugar before she boarded a flight for Beijing. Today, Lexie's business is rapidly expanding. In addition to Lollipop Bakery, her busy cupcake delivery service in Beijing, she has also joined up with other food entrepreneurs to open a storefront business in Shanghai. Just last week, she opened the doors to the Magic Labs, a new ice cream parlour in the southern city of Nanjing. "There's something about doing business in China that encourages you to just go for it. It definitely feels like it's much easier to do things, do business here," Lexie says. "Maybe one of the reasons is that here 'No' doesn't mean 'No', and I quite like that. As long as you're smart enough to figure a route around something, it can be done." David Cameron's government is eager for other students to also open doors for themselves by studying Mandarin. Before leaving for his trip to China, the UK prime minister met primary school students studying Mandarin in London in a bid to promote Chinese-language study. Downing Street also hopes British university students will open doors for themselves by studying in China. 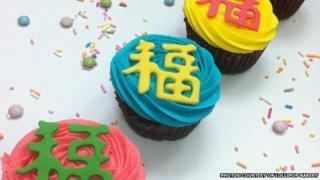 Generation UK, a new programme supported by Downing Street, tries to encourage more students to study Mandarin in China. The programme's goals are relatively modest, aiming for 15,000 students to study Chinese in China by 2016. In comparison, the US plans to have 100,000 students studying in China between 2011 and 2014 under a similar programme. At the moment, the majority of the 325,000 foreign students in China come from the US or South Korea. Without fluency in Chinese, it would have been very difficult for Lexie to grow her business from a fledgling delivery service in Beijing to the multi-city operation she runs now. "The shop we've opened in Shanghai, for example, required a business licence, an environmental licence, a food service licence, a food distribution licence, an alcohol and a fire licence," Lexie says. "That's seven different licences, each from different bureaux, each with their own regulations, their own personal connections, their own terms and their own inspectors and that's just for a little shop." That might sound exhausting, but Lexie is just getting started. "I think I will slow down a bit after I have a recognisable brand across China, whether it's Lollipop Cupcakes or Magic Labs," she explains. "I want to have a shop in every major city across China."